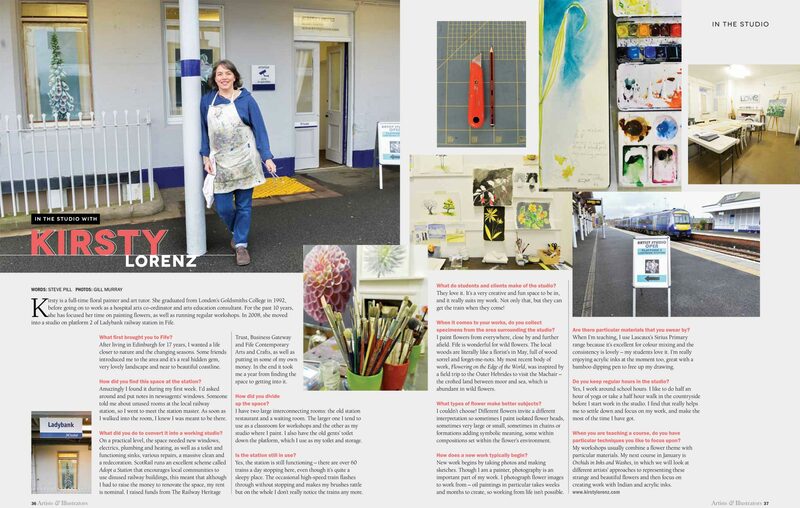 A double page feature about my work and the studio is in the current (January 2015) issue of Artists & Illustrators Magazine. I am delighted ! The magazine sent a photographer to do the photo shoot for the article, a photographer from near Perth called Gill Murray. It was a pleasure to meet her and her photos are great.